I don't know about you, but I don't just think exercise and eating right is a ball of fun. I need motivation, or there's no way I'm going stick to it. Yes - eating right needs to be a lifestyle change, not just a "fad" diet. But who doesn't enjoy making weight loss more like a game? I saw this idea on Pinterest a few different times and decided to give it a try. 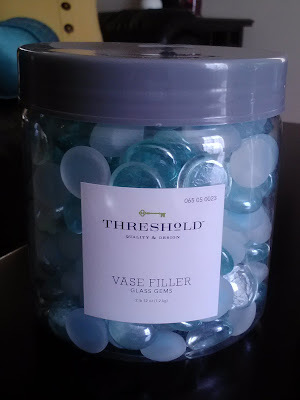 While I was at Target, I picked up some of these marble-like vase fillers and 2 mini-buckets from the dollar section. 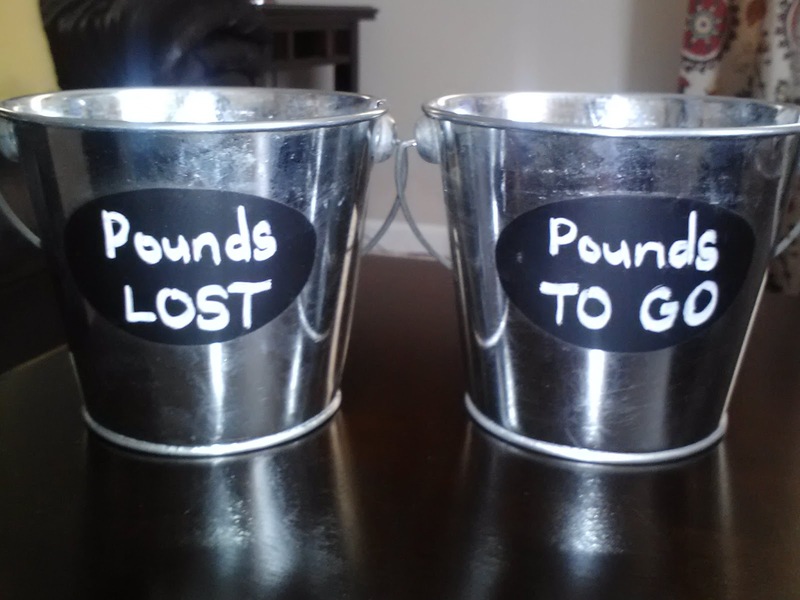 I wrote on the buckets with a chalk marker "Pounds LOST" and "Pounds TO GO." 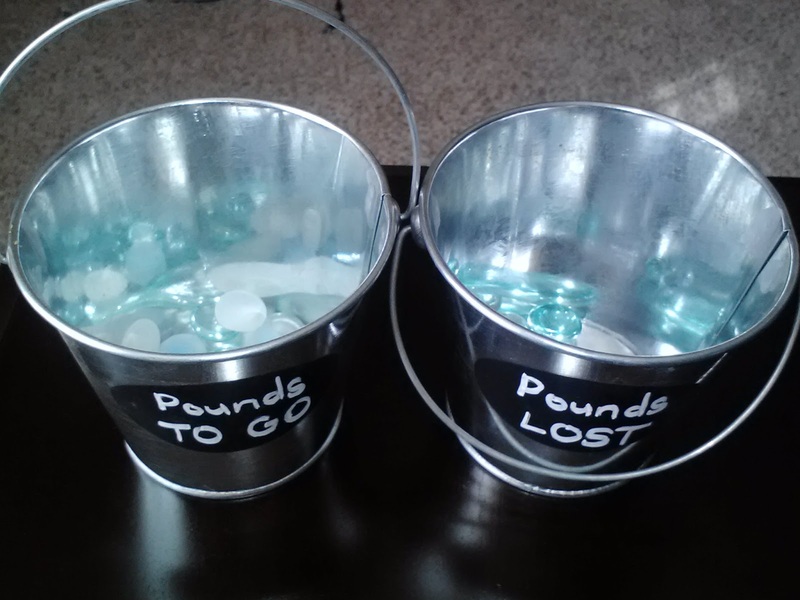 I filled the "Pounds TO GO" bucket with marbles to represent the amount of pounds I want to lose. 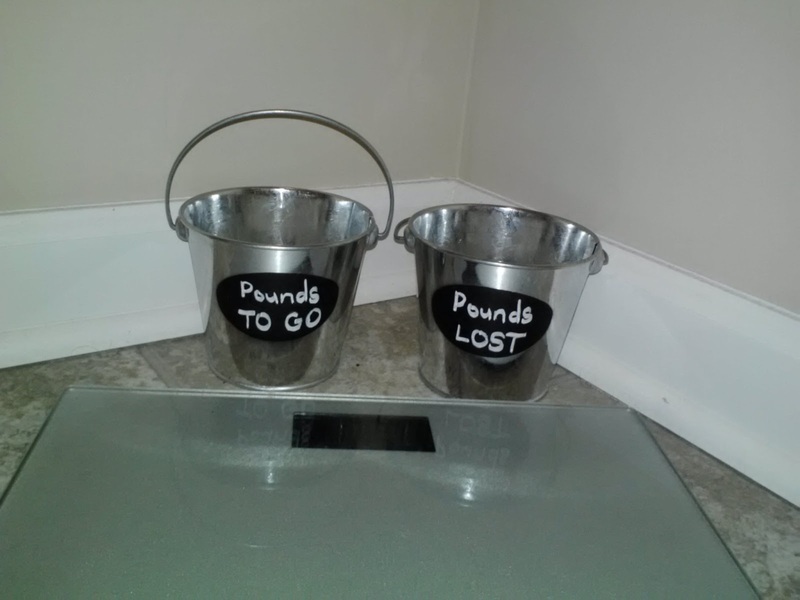 I placed them by my scale and will move a marble over to "Pounds LOST" for each pound I lose. 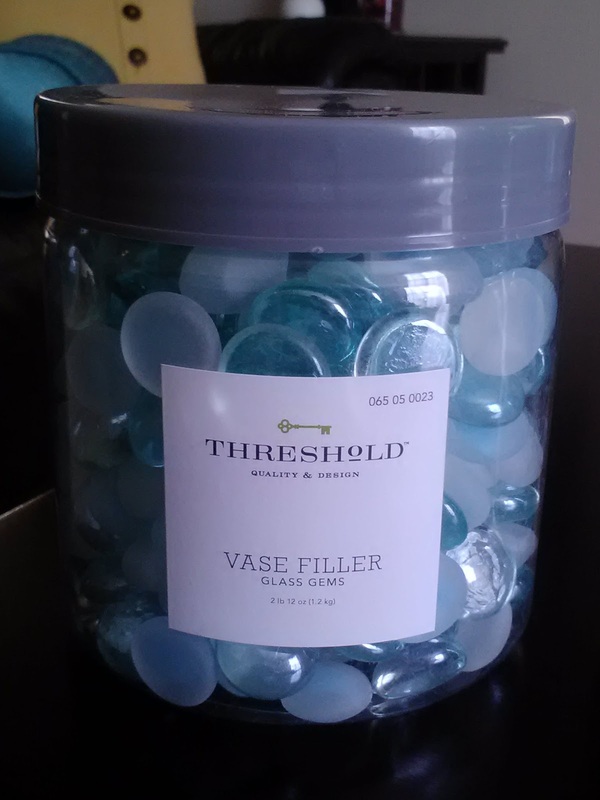 As small and trivial as it may seem, I am excited about moving those marbles! My husband suggested that maybe I pay myself for working out. I like it! I picked up an extra bucket at Target and am using the leftover marbles to keep track of the money I earn for working out. 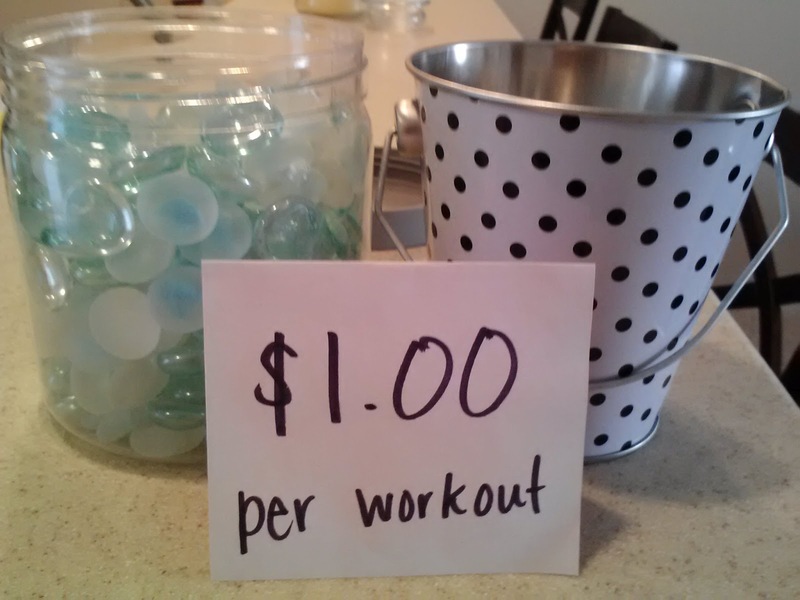 I get a $1.00 per day that I workout. When I've saved up a sufficient amount, I'll get to use my reward money on something that I will enjoy! A movie? Shoes? Another idea I am trying is to have some reward envelopes ready for when I lose 5 pound increments of weight. I took some time and really tried to pick some incentives that motivate me. We just had Christmas, so I went through my wallet and decided to use some gift cards I already have. 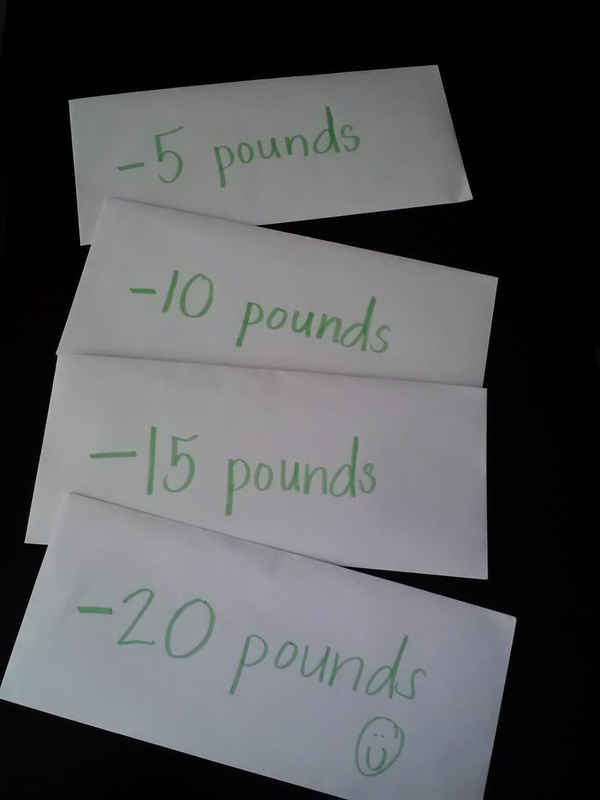 -5 pounds = Panera Lunch & Book Date! -10 pounds = New MAKEUP!